WITS writer Miah Arnold began the launch of her first published novel with a book signing at Brazos Bookstore on July 19, almost selling out of the pre-ordered books on hand. Arnold has been on a national book reading/signing tour since. Arnold is a fiction writer from rural Utah educated at Carleton College, The New School for Social Research, and the University of Houston where she earned a PhD in creative writing and literature. Her stories appear in a number of literary magazines, including Confrontation, Painted Bride Quarterly, and the South Dakota Review. She won a Barthelme Award for nonfiction in 2006 and the Inprint/Diana P. Hobby Award for her fiction at the University of Houston in 2008. In Sweet Land of Bigamy, the main character, Helen, falls in love with and marries a poet from India, while her first husband is away in Iraq. 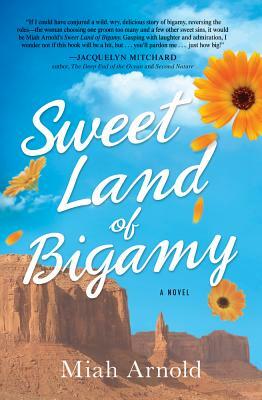 “The Sweet Land of Bigamy is a funny and surprisingly touching exploration of what marriage can be.” Visit Miah’s web site for more reviews, information about her book tour, and to read her latest blog posts.